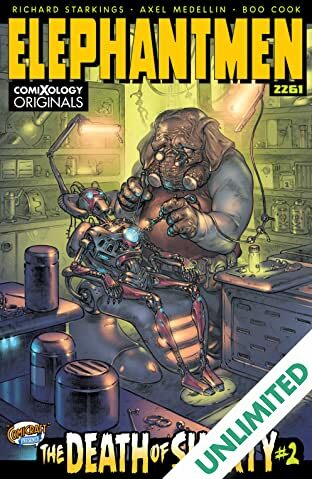 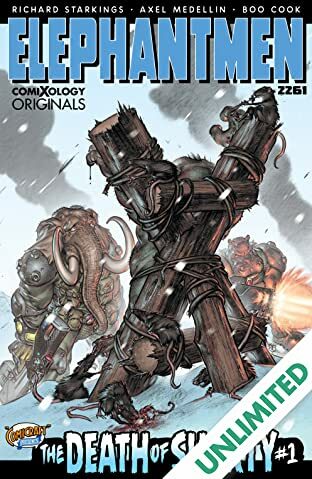 The iconic Elephantmen debuts as a comiXology Original title with issue #1 of Elephantmen 2261: The Death of Shorty, a 5-issue monthly mini-series. 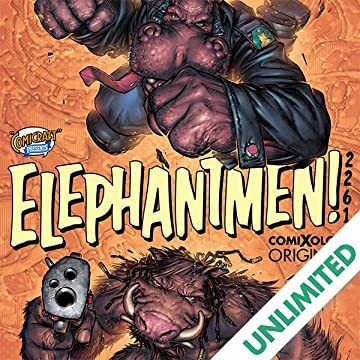 Blade Runner meets Planet of the Apes in the next adventure of the pulp science fiction series Elephantmen, which debuted nearly 15 years and 80 issues ago from Image Comics. 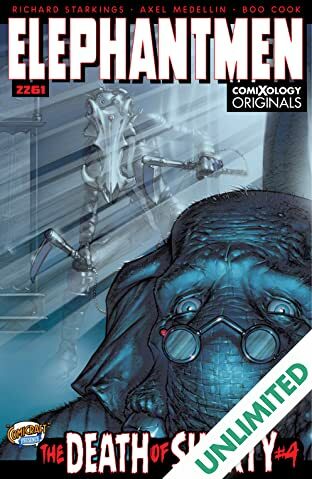 This all-new story is a whodunnit that draws our heroes, Hip Flask and Jack Farrell, into the curious death of an Elephantman known to his friends as “Shorty”. 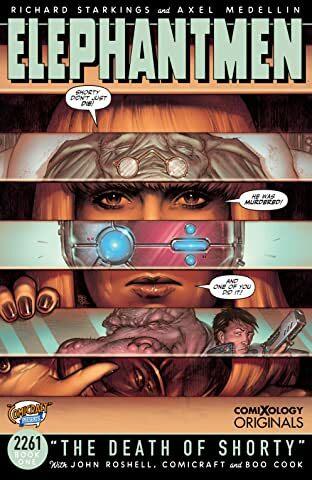 Described by J.J. Abrams as “An Awesome and Unexpected Story. 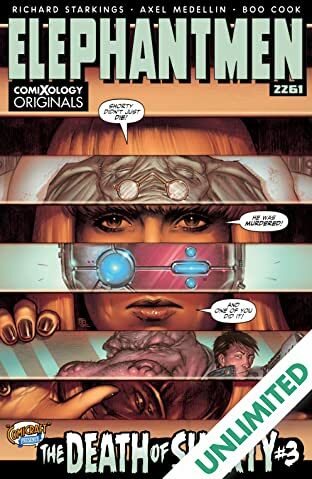 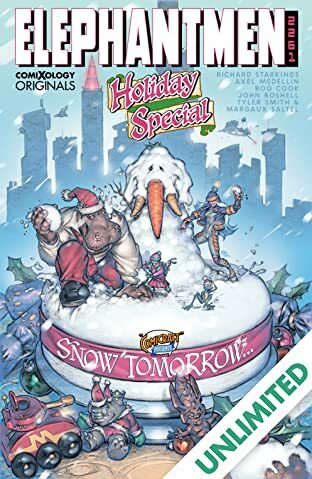 You Must Check it out!” and lauded by Andy Serkis as “Bold, Mythic and heartbreakingly cool, Starkings’ universe is a breed apart!” Part of the comiXology Originals line of exclusive digital content only available on comiXology and Kindle.